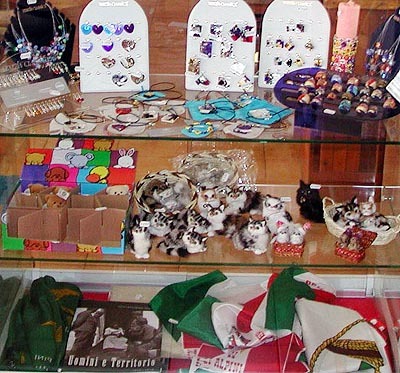 We provide you also with souvenirs, mementos and documentation about Redipuglia, the Monumental Sacrarium and our land. Here you'll find books and illustrations about Redipuglia and the War, Postcards, Photos and Slides. 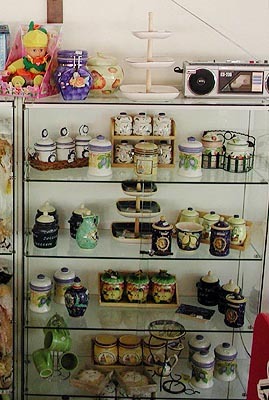 Souvenirs and paraphernalia in several kinds and range of price, from simple bullet key rings to collectionable hand made dolls. Furthermore we provide you with photo films, bijouterie, banners and several other gadgets.